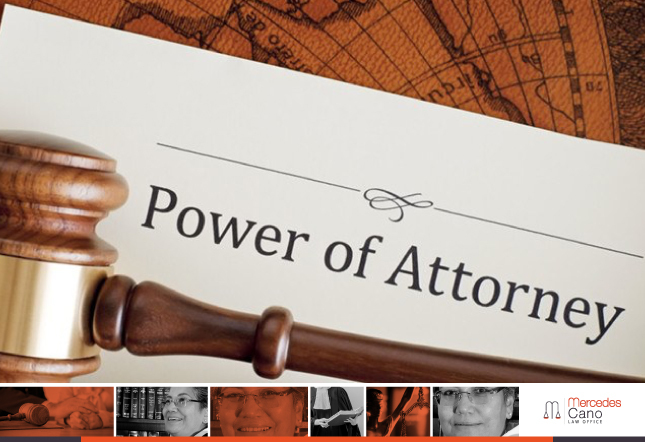 Do any of the following people need to sign a Power of Attorney (POA)? Ms. Ramirez lives alone, has no close family, and is scheduled for major surgery in a few weeks. Mr. Smith has been diagnosed with Parkinson’s disease. The Rodriguez family will be moving to another country in the next 2 months but have a house they need to sell. Mr. Martinez has recently retired at age 65 but is slowly losing his ability to write and see. You are a successful business person but not a citizen of the US. You are the only person who can manage your business and know all the “ins” and “outs” of your company, but you have a conviction for a fight you had with your wife 15 years ago. The answer is yes. They all do. A power of attorney is a legal document that allows you to name someone you trust to make financial, business and legal decisions on your behalf. It provides a convenient means of having your affairs looked after when you are away or simply unable to do so on your own. Setting up a POA is very simple. You select someone you trust to handle your affairs when you cannot. You can keep it in a secure place where you and the trusted person have access to it. You could establish a POA that only happens when you are no longer capable of handling your affairs yourself – or one that goes into effect immediately so that the person of choice can act for you in your absence. This is known as Durable Power of Attorney and there are many different types that may apply specifically for you. One thing to remember is, your spouse does not automatically have your power of attorney over property, finances, or anything that is in your name only. To set a legally binding power of attorney, the principal must have sufficient mental capacity when the document is drawn up. This means that he or she must fully understand the nature and effect of the document. POA’s can be canceled or revoked at any time simply by destroying the original document and preparing a new one, or by preparing a formal document stating that the previous document is void. Here is where an attorney is very useful. In the case of a spouse, if something does happen to you, she will have to file applications in a court of law, to evaluate your mental state, if that is the case, or if you die, run to court to start a process to define who the owner of your business or estate is. This process, although doable, may cause delays and/or claims by the children or partners to the business. POA’s are not just reassuring for you and your family but they become essential to protect your financial, your health and even your manner of dying. If you are bedbound and have no POA appointee to take control of the finances, estates or any personal affairs, your family will likely be forced into costly and time-consuming delays. Do not expect your will to serve as a substitute for a Power of Attorney. Wills take the role of distributing property, finances and adjust other affairs to those of whom you choose. POAs are in charge of making financial decisions in your place for when and if you ever become disabled. A health care proxy is a document that gives the person of your choice the authority to make health care decisions for you if you are unable to make those decisions for yourself. Signing a POA does not deprive you of control over your personal affairs. Signing a POA does not deprive you of control over your personal life. It serves as a “back up” plan for if anything was to happen to you. The document only holds power when it is needed. Choosing someone to hold your power of attorney and making decisions about your health, finances or personal affairs allows you to handle the situation without being able to. There are multiple POA’s that may benefit you and your family best, come speak to us. We are here to answer all your questions and needs.